I'm not sure if I mentioned this or not on this blog but around one month ago I decided to only buy things that would help me in the future. As a part of my savings plan it's working pretty well - I still get to buy things and even though I can't really use them until I move out it saves me spending a lot of money on these types of things once I do move. At the moment I've only kind of got glassware and knick knacks - I bought six of the milk bottles, I have a set of 12 mason drinking jars, a straw dispenser and things like that. I really want to start buying a couple of pots and pans and other kitchen things like that. I most likely won't buy cutlery until I move early next year. I'm one of those people that wants to have a collection of fun, novelty mugs. Buying homewares is so much fun - I think you reach an age in your early twenties when you're still stuck living with your parents and you just want to get out so bad and be independent that you start to find adult things like homewares to be so fun. I absolutely adore these coasters - I didn't expect them to be ceramic for some reason as I've never seen ceramic coasters. They have a bit of a finish on them that comes off on your hand but I think once I wash them that will go away. Do any of you guys find enjoyment in homewares? If so, let me know what I should be buying (practical things in particular would be great)! ugh yes i love homewares <3 my actual favourite thing to buy. i was actually in typo this afternoon and it was so hard to walk away, hahahhaa. "stuck living with your parents and you just want to get out so bad and be independent that you start to find adult things like homewares to be so fun" - YES YES YES YES describes me perfectly. typo has got some really nice stuff at the moment! Aw I love buying homeware! I already have a mini mug collection going in my room haha. 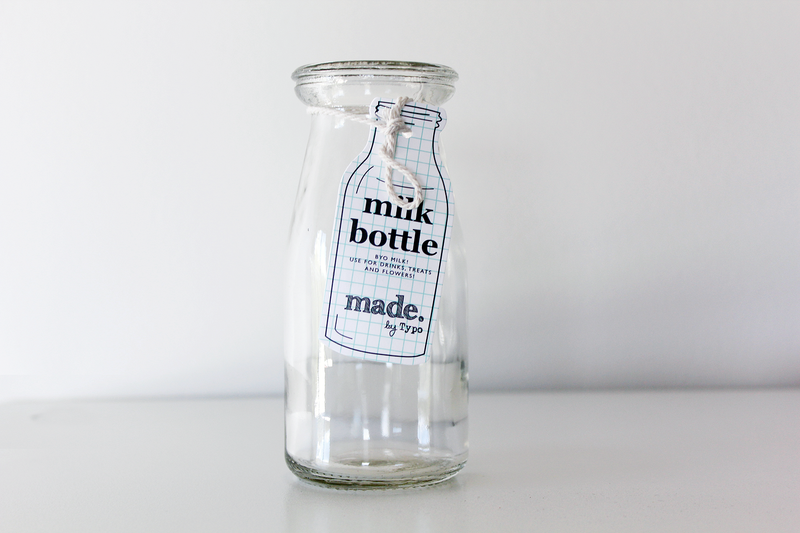 I also bought a bunch of those milk bottles from typo as well - they're so cute. :) The coasters look really nice! I never think about buying homeware now because of living with my parents, but I really should for the future. 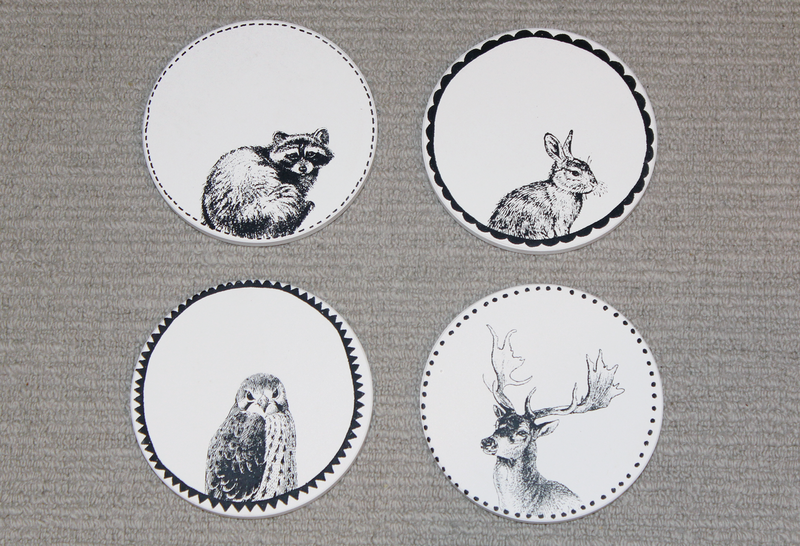 I dream of having the cutest bowls, plates and things. We use paper plates here for eating, but I would love real adorable plates even if it does mean doing dished more often hehe. I would love to have open shelves filled with cute bowls, cups and the such. My mom has the cutest set of plates, bowls and cups in her china cabinet, it's white with little pink flowers, since we both love vintage things I can't wait to have those one day. Oh and I forgot to mention those coasters are the cutest!!! Oh these are cute! I love the stuff Typo has, it's all pretty affordable as well. I need to de-clutter my room first and maybe get some nice stuff form there. Yeah the price is really good - especially when they do 30% off sales (I usually wait for those :P). Typo is actually the cutest shop! It tempts me so much sometimes! big love for these coasters!